IDEAL Industries are the leader in precision wire stripping and have been fulfilling wire processing needs since the 1950s. 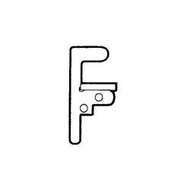 IDEAL manufactures high quality, reliable and accurate tools for many applications including wire harness assembly, electronic systems, aircraft, automotive, aerospace, missile systems and guidance systems. 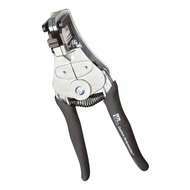 As a Master Distributor, Heamar offers the complete range of precision hand stripping tools and machines from IDEAL. We are also able to service, calibrate and repair the tools providing the necessary certificates. It is imperative in MIL-spec and aerospace applications that the correct wire stripping tool is used. This is also the case for any other industry to ensure correct usage and to prolong the life of the tool. For this reason we provide a free wire evaluation service and can identify the appropriate IDEAL tools to meet your needs. 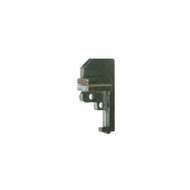 IDEAL 45-120-341 T®-Stripper. Wire range 0.75mm² to 6mm². 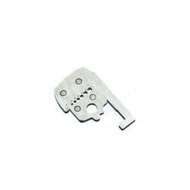 IDEAL 45-120-341 T®-Stripper. Wire range 0.75mm² to 6mm². IDEAL 45-2685-1 Custom Stripmaster® Lite 16 to 24 AWG counter-bored die type blade set. 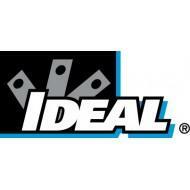 IDEAL 45-2685-1 Custom Stripmaster® Lite 16 to 24 AWG counter-bored die type blade set. 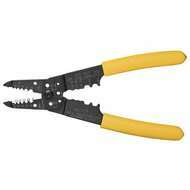 IDEAL LB-742 Coax Stripmaster® Wire Stripper Blade Set. 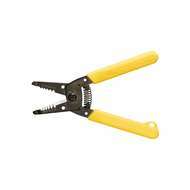 IDEAL LB-742 Coax Stripmaster® Wire Stripper Blade Set. 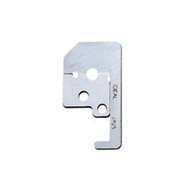 IDEAL 45-673 Stripmaster® Lite Wire Stripper with knife-type blades. 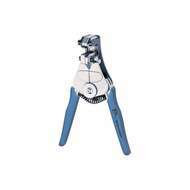 IDEAL 45-673 Stripmaster® Lite Wire Stripper with knife-type blades. IDEAL 45-777 7-in-1 Stripper strips 6 to 16 AWG solid and 8 to 18 AWG stranded wire. 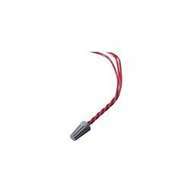 IDEAL 45-777 7-in-1 Stripper strips 6 to 16 AWG solid and 8 to 18 AWG stranded wire. IDEAL L-5617 Custom Stripmaster® Frame Only. For 16-30 AWG application. IDEAL L-5617 Custom Stripmaster® Frame Only. For 16-30 AWG application. 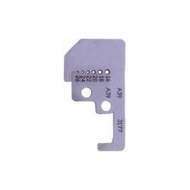 IDEAL 55-2685-1 Ergo-Elite Stripmaster® Blade Set 16-26 AWG. IDEAL 55-2685-1 Ergo-Elite Stripmaster® Blade Set 16-26 AWG. IDEAL LB-722 File-type Gripper for Custom Stripmaster®. IDEAL LB-722 File-type Gripper for Custom Stripmaster®. IDEAL LB-728 Stationary Gripper. Parallel Style Gripper for Custom Stripmaster®. IDEAL LB-728 Stationary Gripper. Parallel Style Gripper for Custom Stripmaster®.